With the problem of unfinished houses looming large and elections round the corner, there is pressure on the government to ensure that lakhs of homebuyers saddled with EMI burden get delivery of their homes. With this in mind, it has been proposed that the government’s construction arm National Buildings Construction Corporation Ltd (NBCC) make an assessment of the projects that have been delayed and provide an estimate regarding the last mile funding that may be required to complete them, sources said. The National Housing Bank and some PSU banks may also come forward to create a separate fund to complete the unfinished projects provided NBCC gets to construct the delayed projects, sources said. These proposals were discussed at a meeting held on February 2 between finance ministry officials, PSU banks, NBCC, NHB and other officials, sources said, adding a decision to this effect may be taken soon. It was also proposed that additional land available with developers whose projects are stuck should be monetized and utilised commercially. “It has been proposed that the NBCC suggest the projects that have been delayed and the amount needed to complete those projects and submit a report to that effect. After they report has been submitted, the banks may agree to put in the amount required for completion in return for some units, additional FSI and vacant land and once completed these are completed, they would sell these units and recover the amount invested as last mile funding. Once the project is completed, it will cease to be an NPA,” sources said. At a meeting held in the last week of January between the Interim Finance Minister Piyush Goyal and public sector banks in which housing secretary D S Mishra was also present, the housing ministry, NBCC and banks were entrusted with the task to work out a plan to bail out the stressed projects. The issue of setting up a stress asset fund was also discussed that could help complete the stuck projects. The total value of the fund is yet to be worked out but sources said the seed capital could be anywhere between Rs 1000 crore and Rs 2,000 crore. It was proposed in the January meeting that the undeveloped land parcels with developers will be transferred to agencies such as NBCC, the construction PSU, which will be called upon to leverage them to raise resources or develop them and finance the construction of flats, some of which were booked a decade ago. Real estate experts say that stressed asset fund or a special situation fund is a common mechanism to complete unfinished infrastructure projects in other countries. The fund helps identify opportunities/stressed properties and purchase them at discounted prices. Once the project is completed, the unsold inventory can be sold off at a higher price. Even the remaining land in the project or the built up area can be sold later at a higher price to realise the full potential of the asset. The security or the collateral is the unsold land or inventory. “Stressed Asset Funds are funds which invite investors to pool their resources to buy out stressed assets from banks to allow them to clean up their balance sheets. An asset becomes a stressed asset when payment of principle or interest of loan taken out on it is defaulted for a specific sustained period of time,” explains Kapil Sharma, Partner, Lakshmikumaran & Sridharan. Capital accumulated by said funds are intended to be utilized by the NPA in potentially plugging the gaps that arose due to shortage of funding leading to the non-performance. Since the buy-in value of the stressed assets is considerably lower, it is a risk-reward manoeuvre that is pursued in hopes of pulling off a turnaround in the business leading to significantly high profits, he says. From a consumer perspective this may be a welcome move. There are many projects that are stuck today due to want of last mile funding, they are stuck because the project is substantially completed but finishing has not happened, if you have a fund availability and have an organized player to set the boundaries well, this is a good start, say experts. A high-level committee was set up by the UP government to suggest a roadmap for the incomplete housing projects in Noida and Greater Noida last year. It had recommended that NBCC could take up vacant land parcels in Noida and especially in Greater Noida to develop the housing projects. Real estate body Naredco had also said that the realty sector is undergoing a ‘crisis situation’ and demanded that the government should intervene by infusing Rs 2000 crore in a stressed asset fund to kick start construction in stuck housing projects. “We cannot leave 2.5 lakh stalled units to normal processes of law, that is not the complete answer. We do need the intervention of the government to infuse funding, take over the project and complete it. The stressed fund should be the size of Rs 2,000 crore to kickstart construction in stalled projects,” Naredco president Niranjan Hiranandani had told reporters while discussing the pre-Budget proposals submitted to the Finance Ministry. Stressed assets have been a cause of concern for developers as well as homebuyers, who are struggling to get possession of their booked properties. This can become an opportunity if government and lending institutions come forward and arrange required fund to complete the stalled projects. NAREDCO calls upon government, banking institutions and other lenders to infuse liquidity and revive stalled projects, he said. The stressed fund of Rs 2,000 crore will be the maximum amount required to put back 2.5 lakh apartments. This will be funding only for an intermediate period to help complete stalled projects of developers having negative net worth. Additional funds would come from sale of unsold units, customers’ collections and monetisation of surplus land with the developers concerned. 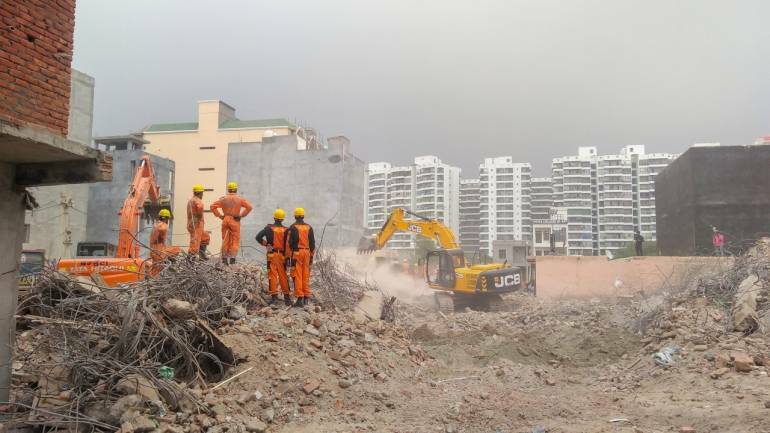 In view of several real estate projects either getting delayed or stuck, developers have called for setting up a stressed assets reconstruction fund to ensure that residential units are delivered on time. Demonetisation, Real Estate Regulation Act (RERA) and GST have cast the heavy burden of multiple transitions on the real estate sector. The NBFC crisis has resulted in a liquidity crunch for the Indian real estate sector with even loans that have been sanctioned facing difficulties in disbursement. CREDAI had also recommended a one-time restructuring of all real estate loans to enable the sector to emerge successfully from the multiple transitions, the realtors’ apex body Credai had said in a statement. “Last mile funding for stalled projects through setting up of Stressed Assets Reconstruction Fund for real estate has become a necessity to ensure delivery of housing units to consumers,” it had said.